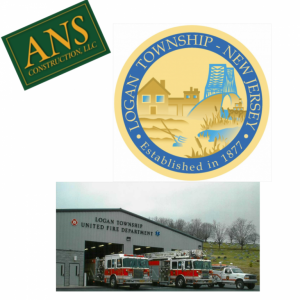 ANS Construction LLC is proud to offer our concrete contracting and seal coating contractor services to Logan Township, NJ area businesses and residences, we are very proud to be part of this wonderful community. Logan Township located in Gloucester County in Southern New Jersey has a population of about 6,500 people. Even with its relatively small populace Logan Township is one of the best places to do business due to a couple of significant factors. This town, strategically located about halfway between the cities of New York and Washington D.C., along with its proximity to the interstate system puts it a few hours drive away from several of the most significant consumer markets in the world. Besides its strategic location, Logan Township NJ has a unique blend of farmland, retail, and residential areas. The population of Logan Township NJ boasts strong ethnic, social, and economic diversity. It is a thriving business hub thanks to its a large business park and progressive government. Living in Logan is a wholesome experience. It is ideal for people who want to live a quiet life while peacefully living their lives and running their businesses. It is one of the few remaining towns in the country where you can live close to the major cities while maintaining a peaceful lifestyle. In a survey conducted by Niche.com, Logan Township has been rated as one of the best places to live in the country with an overall score of an A-. The calculations based on several of factors including crime and safety, public schools, housing, diversity, nightlife, transportation, weather, cost of living, and family life. A low crime rate in any locality is a good indicator of a high standard of living. The nearby farmland areas provide the townsfolk with fresh farm produce. Logan Township has a public school system, Logan Township School District, which serves students from Kindergarten to the twelfth grade. The township has an excellent transportation system that is well maintained by the local government and the State. Passing through the area are Interstate 295, US Route 130 and 322, and County Route 536 and 324. The local government provides essential amenities to ensure a comfortable life for its residents. Logan Township NJ can provide services and develop its infrastructure because it has continued to witness sustainable growth over the years. Logan Township is an industrial and business hub in New Jersey. It has the Pureland Industrial Complex that was initially developed in the seventies. It houses dozens of warehousing and distribution companies. It is the most significant industrial complex in New Jersey. Logan Township, NJ is also home to the state-of-the-art complex known as LogistiCenter an 1100 acre facility that is ideal for packaging and distribution operations for e-commerce businesses and fulfillment centers. It also houses manufacturers at affordable rates. Political goodwill from local leadership fosters the business-friendly environment. In 2015, Local government officials broke ground on a new industrial park within LogistiCenter. The local administration has also kept the taxes down to encourage people to set up and grow their businesses. Very few places are left in the country that can be said to be great for residents and businesses alike. Logan Township, NJ has managed to remain an excellent place for families to settle down and have a quiet suburban life. It’s location, between two of the largest cities in the country, allows local businesses to tap into otherwise unavailable consumer pools. The local government nurtures a conducive environment for business through favorable policies, low tax rates, and infrastructural development.